The 2017 hurricane season, which included record-breaking Harvey (Texas), Irma (Caribbean) and Maria (Puerto Rico) renewed interest in solar powered generators. Solar powered generators can provide much needed security in a storm to power lights and charge critical mobile devices and are now more affordable with the nearly 70% decrease in the cost of solar in the last decade. These devices are also popular in other mission critical situations, including remote hospitals or job locations. Portable solar generators can also be a helpful addition to an extended camping or hunting trip powering mobile phones, laptops and camp lights. Consumers also use them at music festivals or other events where power access is limited. Because they run on solar power, portable solar generators can be more enjoyable than gas generators that create fumes and require a stockpile of fuel. We receive a lot of questions from consumers regarding solar powered generators and this guide will address common questions, such as “What devices can I power with the generator and what size should I get?” How many solar panels do I need an how long will it take to charge?” We will also review pros and cons of the most popular models. Keep in mind that these products typically max out at 1,400 watt hours of battery capacity, so do not expect these devices to run large household appliances for multiple days. Before you buy, make sure the solar generator has enough power to handle your expectations – one of the most common complaints about solar generators is that consumers expected greater charging capacity. Our recommendation is based on 25+ hours of research and consumer interviews as well as our staff’s own experience with these products. Our research found the Renogy Phoenix (400Whs) to be the best solar generator for most situations. The Renogy comes in a convenient suitcase for portability and with 400Whs it should be enough for a small family to charge critical devices for a few days on a trip or in a power outage. It is the only model with a small built-in panel (20W) with the option to easily add another 100W with a Renogy 100W panel. Consumers tell us they like the quality of the case construction which make it easy to throw in the back of a truck for a weekend trip. In addition to the solar panels charge, it can be charged with AC power or from a car battery (some models do not have the car hook-up). What makes the Renogy really stand out from the competition is the price – a generator and 100W panel is less than $600 when similar competing models are over $1,000. Renogy is also an established brand, so even with the lower price, consumers do not need to be worried about quality or manufacturer issues. Generator and Panel Kits or Purchase Separately? We reviewed models that included only the generator (battery) and models that were kits with a generator and solar panels. Most of the generator and panel kits had detached solar panels, but the Renogy model actually had a small solar panel built into the generator with the option to add on. If you are comfortable with electrical components (sizing, compatibility, etc. ), we recommend purchasing separately as the kits are typically a lot more expensive than their individual components. As an example, the Jackery generator and solar panel kit is priced at ~$1,200 and you can buy the generator for $600 implying that the price of the 100W solar panel is another $600. $600 is a lot for a 100W panel as even higher quality flexible models can be purchased for less than $125. To be fair, the Jackery kit panels are foldable and match the colors of the generator – it is a convenient and well designed package; however, if you do not care as much about aesthetics, we recommend purchasing another generator and larger panel separately. The Renogy had the best set up with a smaller built-in 20W panel and the option to purchase a 100W Renogy panel for only $125, which totals $525 for the entire kit or nearly 1/2 of the higher end Jackery or Goal Zero models. Solar generators are sized by watt hours and we reviewed small (~200-300 Wh) medium-sized (400-500 Wh) models. Most of the major manufacturers offer models that are as small as 150Wh and over 1,000 Wh, but we felt the 200-500 Wh covers the most common scenarios. The table below measures the size of the generator and the number of charges for typical devices. The 400Wh generator would be perfect for a family of 4 that wants to charge their phones, a laptop, and flashlights for 2-3 days. It is important to note that these generators are too small to run typical household appliances (refrigerators, washing machines, etc. ), but could run small appliances that are ~150 watts (TV, fan, mini-fridge) for a short period of time. Depending on your use case, it might not be worth the trade off to run these small appliances for an hour or two. 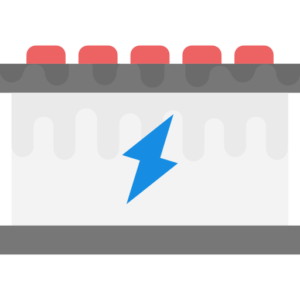 Another metric to be aware of is the Max Continuous Output Power, which limits the size of the appliance or device that can be charged. As an example, the Renogy Phoenix has max continuous output power of 150W, so you would not be able to run a 800W coffee maker. Although we only reviewed small and medium-sized models, if you are looking for a larger generator (>1,000 Whs), there are several options. A larger generator maybe a fit for you if want to use it for back-up power in case of a power outage to run small household appliances. They come with larger batteries and a higher max continuous output power. The great thing about these generators is that they can be charged from multiple sources, including AC power (a wall outlet), car power (cigarette lighter adapter), or directly from the solar panels. Solar panel charging time can be impacted by many different factors, including the outdoor temperature, weather, sun exposure based on geography and panel tilt, but there are some general rules of thumb. Solar panels are rated by watts and the rating assumes “ideal” sun conditions, which will not be realized in most cases. So technically a 100W panel in full sun for 5 hours will generate ~500Whs of power to fully charge a 500Wh generator, but we should assume less than full sun (75%). So a simple formula to use for an approximate gauge of solar charge time is generator size (Watt Hours) / (Panel size (Watts) x .75%). As an example, the 500Wh Jackery model guides for 7 hours of charge time with a 102W panel and 6 hours from AC power (outlet). The Renogy is our Editor’s Pick and stood out for quality and a compelling value. The Renogy comes in a convenient suitcase for portability and with 400Whs it should be enough for a small family to charge critical devices for a few days on a trip or in a power outage. It also comes with a small built-in panel (20W) with the option to easily add another 100W for a total of 120W. Consumers report that case construction is high quality, which make it easy to throw in the back of a truck for a weekend trip. The generator can be charged from three different sources as well: the solar panels, AC power or from a car battery (some models do not have the car hook-up). The Renogy really stand out from the competition because of its price – a generator and 100W panel is less than $600 when similar competing models are over $1,000. Renogy is also an established brand in the solar space, as its 100W 12V panel is one of the most popular solar kits for off-grid or marine applications. Goal Zero is the best known brand for off-grid solar accessories, including portable panels, generators and flashlights. In 2014, the company was acquired by NRG, one of the largest energy companies in the U.S. to make a push into the renewable energy space. With strong brand recognition, the company is able to command higher prices than competitors. The Goal Zero Yeti 400 is a good option for consumers that are willing to pay up for the brand or already has other Goal Zero products. Overall reviews are good with some complaints regarding the price and customer service if issues arose. It can charge up to 7 devices at once and can be bought as a package with the company’s 50W Boulder solar panels. The Boulder solar panels come with a kickstand for easy set up and is built with an aluminum frame and tempered glass. The generator can be charged in 5 hours from an outlet, 13 hours from a car charger, or 16 hours from the 50W solar panels. If you do not want to buy the full kit, you can also combine the generator with other 12V solar panels (including Renogy’s). The Jackery is an established brand for outdoor charging products and its portable solar generator has excellent customer reviews. The Jackery is a pricier model, but has a slick look and design for the generator and solar panel. The solar panel also comes with a convenient portable carrier. The only complaint from consumers is that it is difficult to find a compatible third-party solar panel, which may be by design. So if you don’t mind paying for for the combined kit, the Jackery could be a good fit. The Suoaki is a smaller model with 222Whs compared to the larger models that we also reviewed. If you only want to charge smaller devices (phones, flashlights, etc.) for a couple of days, the Suoaki model could be a good fit. The Suoaki also comes with a Battery Management System to improve the battery utilization and prevent over-current, over-voltage, and over temperature and prolong the battery life. The Suoaki is also made with a high density lithium ion battery, which makes for a more compatible build than the lead acid models (e.g. the Goal Zero). If the 222Whs is not enough for you, the company also offers a 400Wh version at a compelling value. The Easy Focus is a smaller generator that can be used indoors for battery back up and surge protection or for portable outdoor use. The portable generator can be combined with a 60W-100W third-party solar panel and has 4 DC output ports and 4 USB output ports for charging multiple devices at once. Consumers report that they like that the model is compact and comes with a flashlight, so it is perfect for outdoor trips and camping. Consumers also report that the company’s customer service is very responsive and helpful.